In a perfect world, all drivers would know a thing or two about engine maintenance and repairs. Along with our high school math, science and English classes, students would learn the basics of car mechanics, and be able to perform the vital tasks of vehicle maintenance before they ever stepped foot in the DMV. However, most people know very little about what’s going on under the hood. Additionally, the basics of auto maintenance are getting far more complicated as our engines get more efficient, compact and technologically advanced. That’s why it’s so important for drivers to do the research and legwork it takes to find a good mechanic. Talk to your friends, your family, your neighbors and everyone in between. Peruse the reviews on Yelp, Google, Angie’s List and other websites. You can find some really great, honest advice here. However, it’s best to take any online advice with a grain of salt. Many trashy, unwarranted comments make their way onto the internet. At the same time, many fake reviews are written to improve a business’s online reputation. Most of the time, the intentions are easy to spot and the truly good advice shines through. There are many car clubs devoted to specific makes and models. Look up the local car club listings for your car’s make, model and year number. The fine folks in these passionate car owner clubs will usually steer you in the right direction. Visit your local mechanics for a sneak peak into their garage. If you see clean, classic cars with rebuilt engines, you’ve probably stumbled into a passionate, dedicated mechanic. If you see a mess of rusty clunkers and disorganized chaos in a poorly lit garage, you might be dealing with poor management and unhappy workers. Talk to the people working on your car. You’re paying good money to be able to drive. You’ve invested in a vehicle, insurance, registration and more. You will be paying for maintenance and repairs. You will want someone you can trust, as well as someone who knows how to work on your specific car. Many old timers don’t know much about newer engines and all their electronic quirks, while many younger mechanics lack the experience it takes to keep up an old, classic Chrysler. Finding a good mechanic is like embarking on a quest for the Holy Grail. It may seem like an impossible feat, but if Monty Python could do it then so can you. Flashy, fast and tricked-out rides attract a lot of attention. It will be much more difficult to avoid those rookie-driver traffic tickets when the highway patrol can spot you a mile away. Certain cars and trucks can be more costly to insure as well. 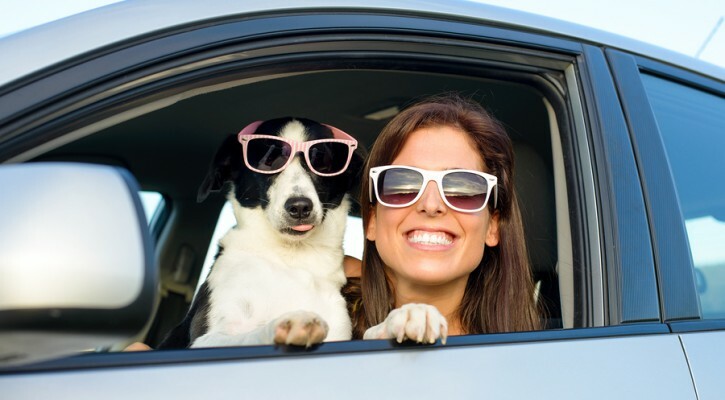 It may be hard to resist the temptation, but teen drivers should steer clear of these glamorous rides when car shopping. Classic cars can be very cool. However, they make terrible vehicles for teen drivers. Many cars older than a couple of decades are missing essential safety features, such as air bags. Plus, the scarcity of older vehicle parts can make repairs more costly than newer models. Among all the factors you consider when buying a new car, safety and maintenance costs should be top priority. Air bags, reinforced doors, anti-lock brakes, and other safety features will improve your chances of survival in a wreck. It also makes sense to avoid rollover-prone rides such as SUV’s or Suburbans. Rather than shopping for a tank, look for cars with sturdy manufacturing and good safety ratings. One of the oldest lessons in the book is also among the most important: When following another vehicle in traffic, always remain at least three seconds behind them. That’s the 3-Second Rule, and it’s a rule that could save a life. Without having to do any exact calculations, this old rule is easily adaptable to real world variations. Bad weather? Extend the following distance by a second or two. Heavy traffic, icy roads, distracted drivers, tailgaters… you name it, we say add a second or two to it. Drivers that follow the 3-second rule will eventually witness a traffic accident, a crash, or even just a close call. More often than not, they will have enough time to avoid that incident, escaping with nothing but a memory of what might have happened. In your driving future, there will be countless times when maintaining a safe following distance saves your life, your passenger’s life, and/or the lives of drivers all around you. There are plenty more reasons to remember this simple rule – it saves gas. It saves repair costs. It lowers insurance rates. It makes the roads safer. It improves traffic flow – but let’s keep it simple and stick with that magic number. The number 3. 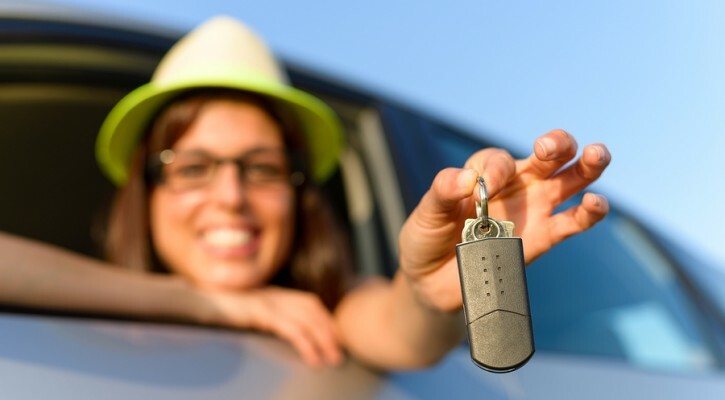 Are you prepared for the right-of-passage experience of buying your first car? Feeling a little overwhelmed by all the choices? Or possibly a little out of your league in the price-negotiating department? We have all the answers right here, so get ready for worthwhile session of Buyers Tips for the Best Price. It’s tempting to go big with a 4×4 truck, or fast with a sporty Camaro. However, it’s best to stay practical and buy a vehicle suited for everyday use. For most people, that means a simple sedan or small, efficient hybrid. Don’t be like the 90% of off-road SUV owners who never touch the dirt, or big truck drivers that never use their massive towing capabilities. Paying for all the bells and whistles is sure to make the price skyrocket. Not everyone needs a top-dollar stereo, rear-view cameras and heated seats. Even fewer people need the common dealer scam of special (and specially overpriced) undercoating and Scotchguard. Keep an open relationship with your brand of choice. You may be a Chevy-lover, or your family may be married to Ford, but your heart won’t get as good of a price as your brain. Use that thinker and consider all the brands, all the prices, and all the features that matter to you. Steer Into The Skid? Think Again. Have you been told to “steer into the skid”? What if we were to tell you this old advice is all wrong? 2. Look where you want the car to go. 3. Point the steering wheel (slightly and confidently) in that direction. It’s important to countersteer carefully and deliberately to avoid oversteering, which will make the problem worse. Just ask any rally car driver. The purposeful precision of a rally car skid is a direct result of mastering the art of the countersteer. Forest Duplessis, head instructor at DirtFish Rally School, explains that many drivers steer the wrong way because they were told to “steer into the skid”. This simple-sounding expression often confuses drivers and rarely results in a successful technique. Think about it. You feel the car begin to lose control. The front end veers to the right as the back end starts creeping forward. What do you do? If you were thinking “steer into the skid”, which direction would you have turned the wheel? Most people would have intuitively veered right to steer into the skid, when they should have veered left to regain traction and control. Interested in learning more about safe driving in extreme circumstances? 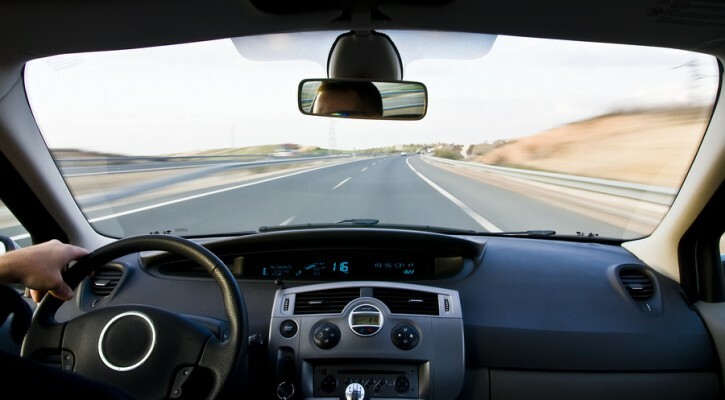 Check out the 4 Types of Advanced Driving School and see if there is a class near you. Winter driving season is in full force. 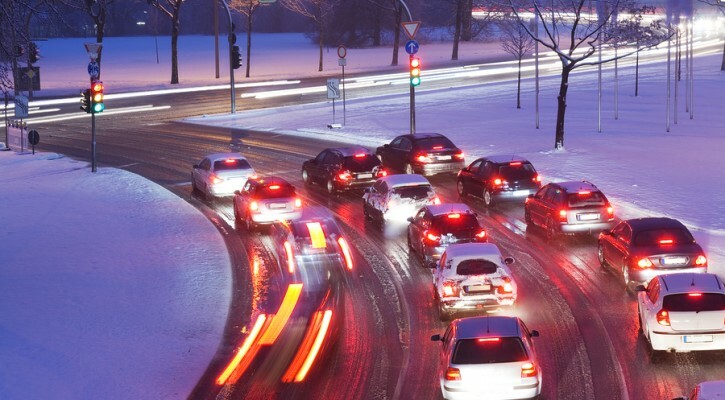 Late-January is the time of year when drivers wonder how they can make their daily commute warmer, safer and more reliable. 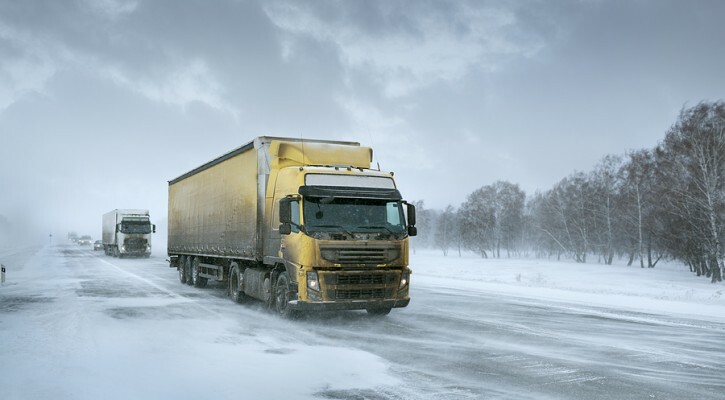 With freezing temperatures across the country, comfort and control are seriously compromised in the face of ice, snow and sleet. If you’re living in a part of the country covered in snow and ice right now, then this blog post is for you. The following list includes the best cold weather creature comforts and safety features for surviving winter driving. This must-have winter driving feature uses automatic braking of individual wheels to prevent spin outs and fish tails. With ESC, all you have to do is steer in the intended direction, and the system will take care of the rest. Older cars may or may not have ESC, however the law requires that all vehicles manufactured after September 1, 2011 be equipped with stability control. All-wheel drive powers all four wheels of the vehicle. It improves traction on snow and ice, which can be a life-saver in many situations. Often, people with all-wheel drive don’t realize how much it really helps because they don’t experience any initial loss of control. Even if you have all-wheel drive and Electronic Stability Control, you’re not really prepared to drive in snowy conditions without a good set of winter tires or all-season radials. The right tires can improve traction dramatically, making just about any car safe for winter driving. Then engine block heater makes it easier to start your vehicle in extreme-cold conditions. By helping to start the car and warming it up faster, this essential feature not only saves the driver time, but also extends the engine life by making damage less likely to occur. By working to clear blockage from snow, rain, ice and road salt, headlight washers and wipers improve visibility. When there is nothing to block or obscure your headlights, they shine more brightly and clearly. Who wouldn’t want a heated bum when the temperatures are dropping below freezing outside? With this feature, drivers can start their ice-cold car up from the comfort of their heated home. In just a few minutes, the car will be warm and ready to roll as soon as you step out the door. If you’ve ever experienced foggy or frozen mirrors, then heated side mirrors are a must. Working much like a defroster, heated side mirrors keep your rear view clear from fog and ice. Save yourself the trouble of scraping ice from the windshield with this convenient car feature. Just activate the heated windshield, and watch the ice melt away. With freezing temperatures come freezing windshield wipers. However, the wiper de-icer can thaw those windshield wipers so they don’t get stuck and damage the motor when activated. What is the best car/truck/SUV for snow and ice? That is an excellent question. Whether you’re looking for a beast to brave Alaskan blizzards or a practical car for ice and snow, there are plenty of winter vehicles to choose from. Jeep. Wranglers and Cherokees are a classic choice. Drivers in snowy parts of the country choose Jeeps because they are 4-wheel drive and have great ground clearance. The newer the model, the more safety features you have to choose from. The 2015 Jeep Wrangler features the Rock-Trac 4WD system and Tru-Lok front and rear locking differentials, as well as stability control with roll control, traction control, and brake assist. The new Jeep Grand Cherokee features a snow setting for advanced traction control on slick roads.The one problem with these vehicles is that they often infect owners with a bad case of over-confidence. Jeeps can be found skidding off the side of a snowy road along with other over-confident SUV drivers. So if you choose a Jeep, be sure to take it easy and slow down on slick roads like the rest of us. 4-Runner. Popular for their excellent traction control, ground clearance, and ability to climb any hill or mountain in their path, the 4-Runner is a great choice for those driving through snowy, mountainous roads. This SUV is also known for being almost impossible to get stuck. However, much like the Jeep Wrangler, 4-Runner drivers need to keep their over-confidence in check. Subaru. Choose any Subaru at all. These are great cars for winter weather. Put some snow tires or all-season radials on, and you’re sure to have great traction through the coldest travels. Subaru’s Symmetric All Wheel Drive System is built for winter driving, making it a favorite among those living in northern mountain regions. Toyota Sienna XLE AWD. If you just have to have a minivan, then the Toyota Sienna is the way to go. It is all-wheel-drive and can trek through the slickest roads with a good set of winter tires. Plus, this ride can hold up to 8 passengers, making it perfect for hauling the kiddos. Keep in mind that no matter what you drive, you must have the right tires. Even a 4-wheel drive SUV with smart traction control is worthless without snow tires or all-season radials. In fact, most front-wheel drive and all-wheel drive cars do just fine with the right tires. So if you live in an area with average snowfall and good road maintenance, then save yourself a little money and invest in some good winter tires. If you’re living off the beaten path, facing extreme blizzards, or just want the peace of mind that comes with added safety features, then these are the winter vehicles for you. If my vehicle breaks down, how long can I leave it on the side of the road? This is an excellent question. The short answer is: it depends. The length of time you can leave a vehicle on the side of the road varies greatly from state to state and city to city. Depending on your location, you may have as little as a few hours or as much as a few days to move the vehicle. It’s important that you make every effort to park the vehicle where it does not impede traffic. If that is not possible, then it will be towed immediately, often for a hefty fee. 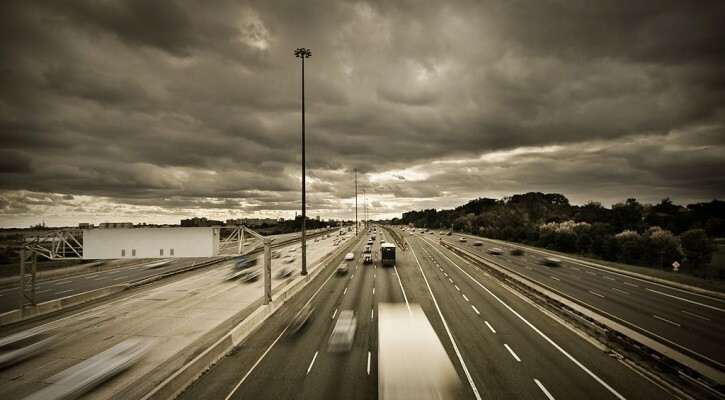 If the vehicle is parked safely on the shoulder or side of the road, then you have considerably more time. Most police officers try to remove a vehicle parked on the side of a busy interstate within 4 to 6 hours. If it’s parked on the side of a regular road, then they will tag it and tow it within 24 to 72 hours. It’s always best to fix or tow your vehicle as soon as possible to avoid tickets, towing fees, and impound lot fees, as well as prevent damage from criminal activity. If you have a question you would like answered on our Real Life Questions and Answers series, then feel free to post your inquiries on our Facebook page. The best New Year’s Resolution we’ve heard this year comes from a teen driver in Texas: A resolution to put the phone down and be more present. People get tunnel vision when it comes their phones. Rather than enjoying a concert, a party, or time with friends and family, their concentration is directed towards the glowing screens of their cell phones. They miss important conversations, epic performances, and experiences they will never be able to get back. That’s why this New Year’s Resolution is so beautiful. Without a constant connection to the phone, this college freshman will be able to truly enjoy every minute of 2015. Another reason we love this New Year’s Resolution: there will be at least one safe driver on the road this year. There will be at least one person driving that isn’t checking their cell phone for missed calls, text messages, facebook updates or Snapchat posts. Rather than looking down at her phone, this driver will have her eyes on the road. If only the rest of the drivers out there were so enlightened. It is true that some phone calls and text messages are important – life changing, even. However, there’s no reason why these conversations can’t wait, especially if you are driving a vehicle. So let’s all take a lesson from this savvy Texas girl and put the phone down… if only in the car. Tire pressure drops by about one pound per ten degrees of temperature. That means the same tires you were driving on in the 100-degree summer could be riding on some dangerously low pressure in this freezing weather. Those with newer cars (later than 2008) have tire pressure monitors that alert the driver when there is a dangerous change in pressure. However, anyone with a vehicle older than 2008 will have to check their tires manually. Have a mechanic check your battery and charging system. If your battery and/or charging system aren’t up-to-snuff, they will give you problems in this cold weather. Batteries lose power as temperatures drop, and oil loses its fluidity, which means that the engine will require MORE power to get started. So put the biggest, meanest battery you can in your car, and make sure your charging system is working properly. It’s important to check your coolant system to protect your car from extreme temperatures. In most areas, you’ll need a 50-50 mix of anti-freeze to water. This protects the engine from freezing up, as well as from boiling over. Anti-freeze also contains rust inhibitors that keep your coolant system from rusting. So checking the coolant system at this time of year annually will ensure better protection all around. This often-overlooked piece of the winter car care checklist could be the most important. Changing weather will bring rain, snow, fog, mist and ice that will put your windshield wipers to the test. Without good wipers, you can’t see. Obviously, that could present some problems. Winter wipers have gained popularity for their rubber coverings that keep ice from collecting on the blade. No matter what kind of wipers you use, be sure to turn them off before turning off the engine. If they freeze to the windshield without returning to the “rest” position, the wiper motor may burn out trying to get them to move back to position. It takes a lot of windshield wiper fluid to keep that glass clear through snowy, icy winter weather. So check your windshield washer reservoir often. In fact, it couldn’t hurt to keep some extra fluid in the trunk for frequent refills. Winter car care is an important skill to master. By checking up on the little things, you’ll have a safer ride… not to mention a fatter wallet with all the money you’ll be saving from prevented breakdowns and accidents. So go through the checklist and have a great winter driving season!